On Tuesday, New World Home “placed” what will become the model home for a 14 home subdivision called Legacy Pointe in the Reynoldstown neighborhood of Atlanta. Notice I said “placed” and not “began construction”. That’s because this home was built in a controlled indoor environment and delivered on a truck straight to the home site. 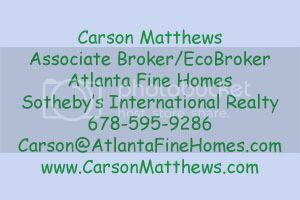 I’ve been to a couple of New World Home’s LEED certified homes in Marietta that were some of the first homes in the LEED for Homes program to reach the Platinum level without using any renewable energy. The Legacy Pointe neighborhood will include approximately 14 residences reflecting New World Home’s New Old Green Modular® (NOGM®) housing platform. By utilizing a proprietary ‘whole-systems’ approach to home construction, NOGM® homes can reduce overall energy consumption by more than 50 percent, save thousands of gallons of water per year and provide a healthier indoor air environment when compared to a typical code-built house. A NOGM® home can also save homeowners thousands of dollars per year in operating and maintenance costs. 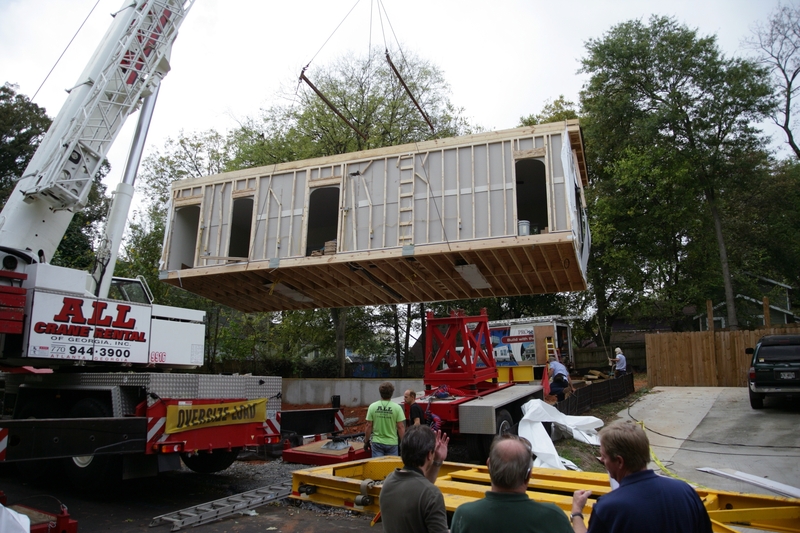 This project was initiated largely in response to a recent Memorandum of Understanding among the U.S. Department of Transportation (DOT), Department of Housing and Urban Development (HUD), and the Environmental Protection Agency (EPA), in which they agreed to an unprecedented partnership to advance green, affordable, urban housing that is easily accessible to public transportation.